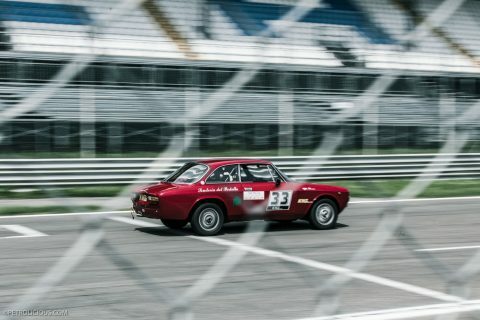 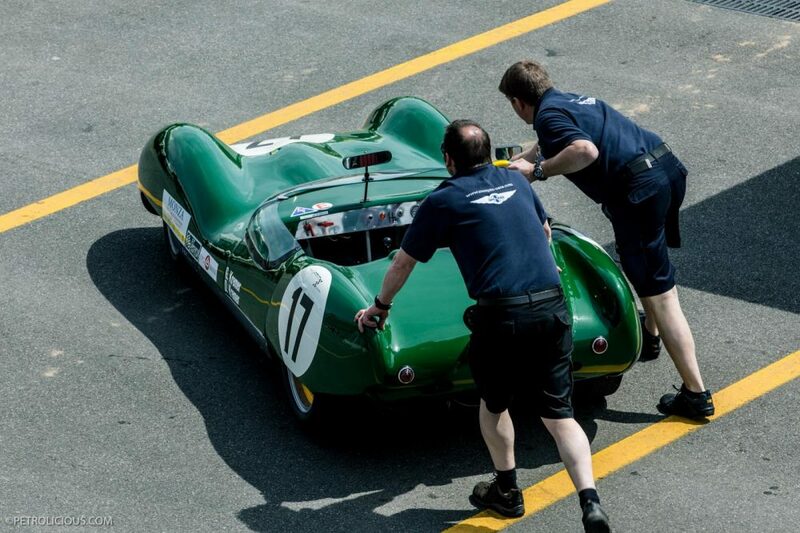 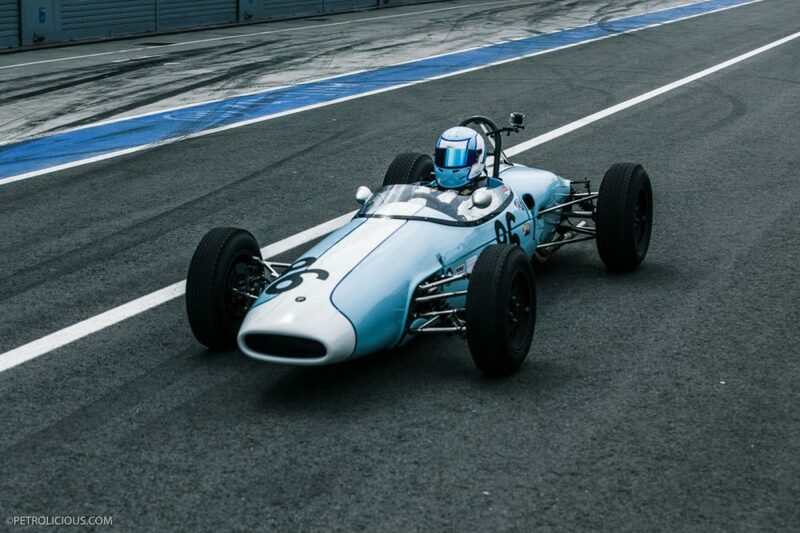 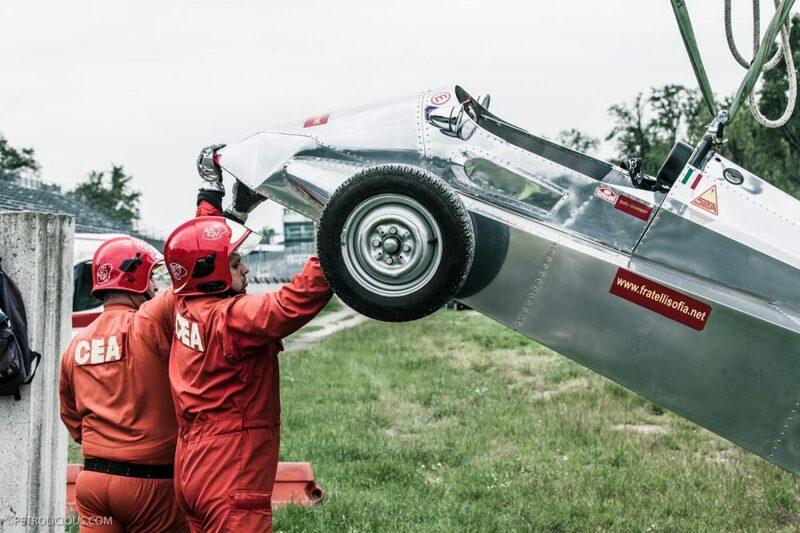 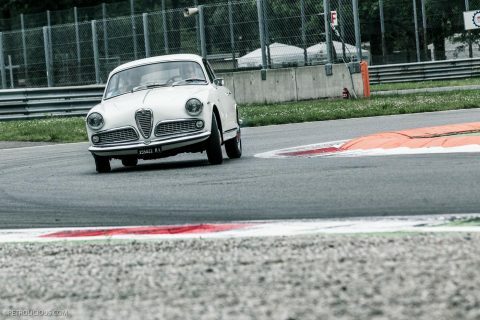 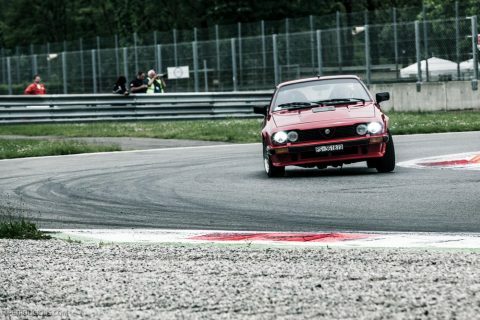 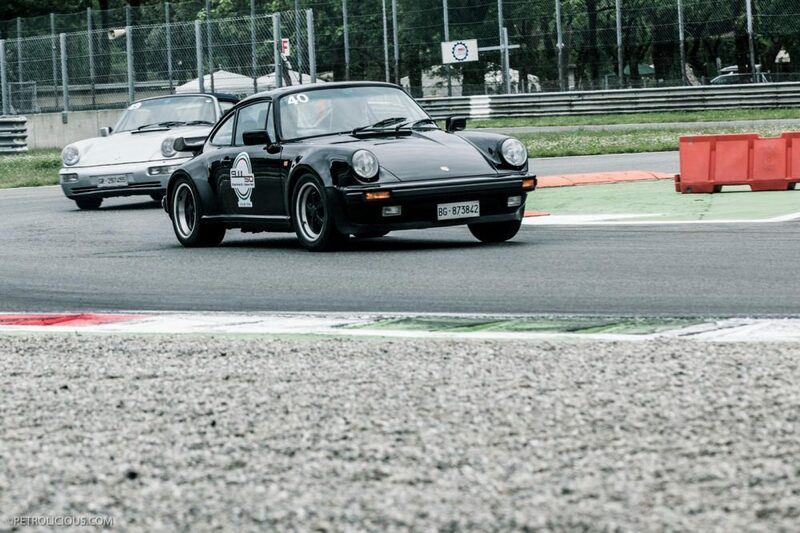 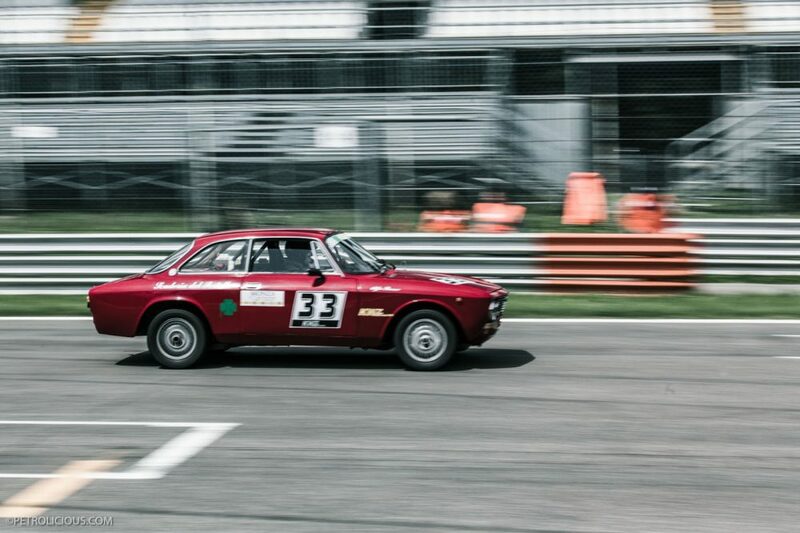 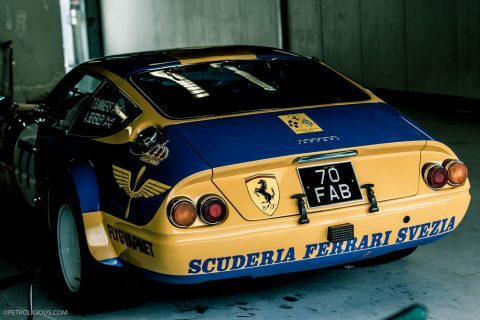 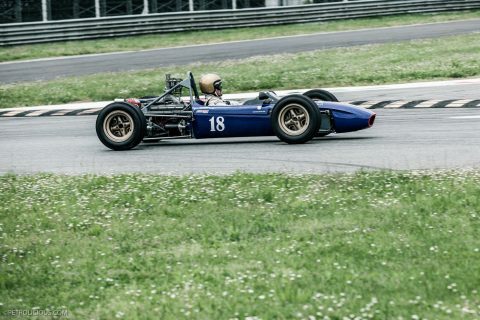 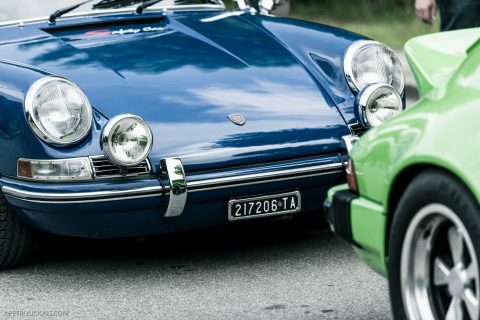 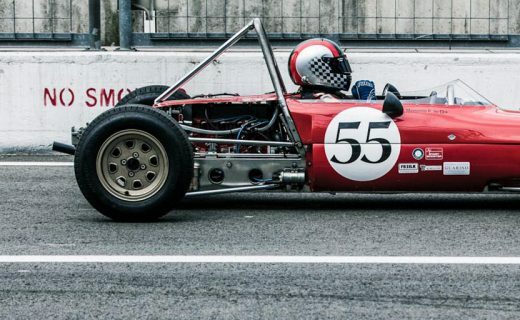 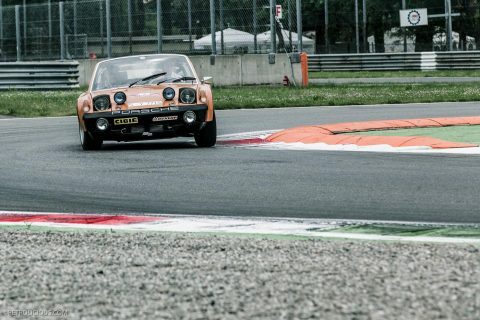 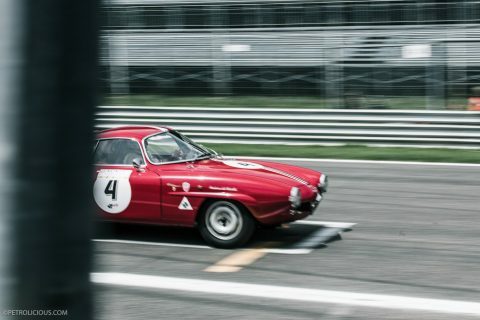 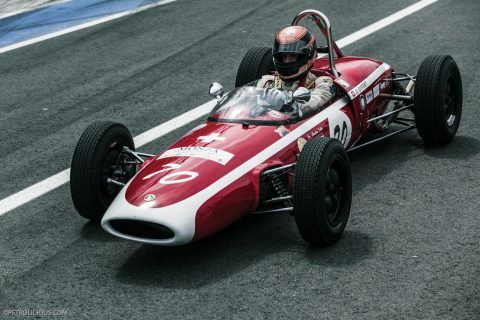 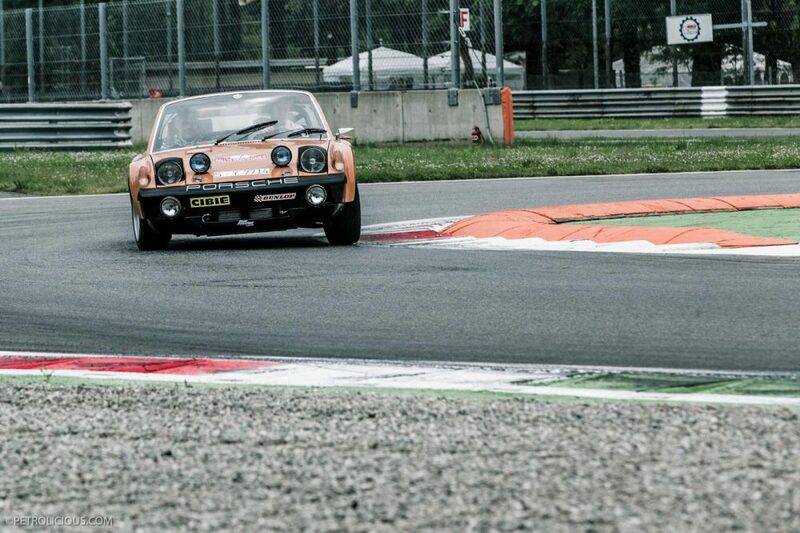 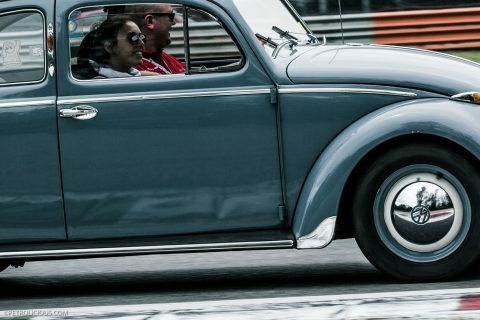 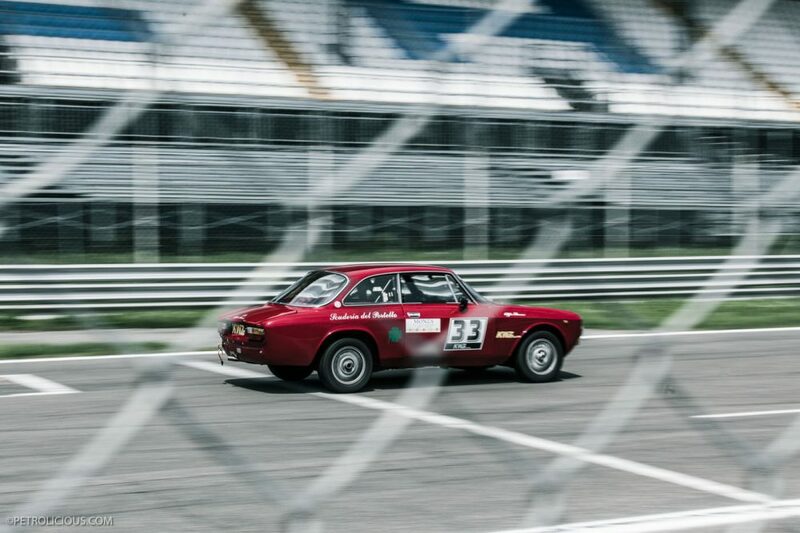 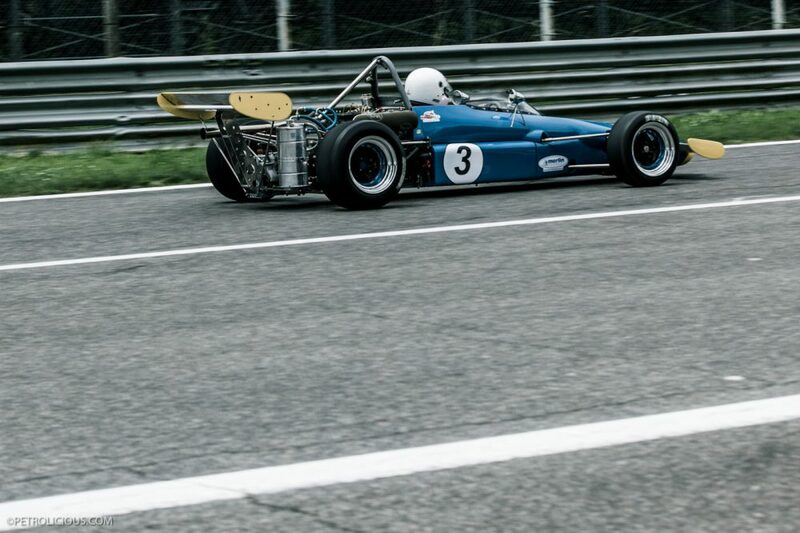 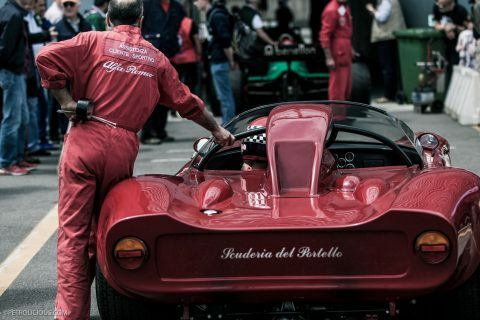 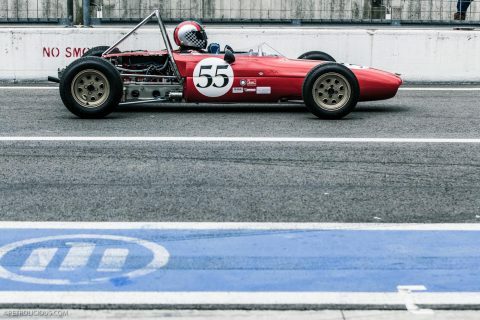 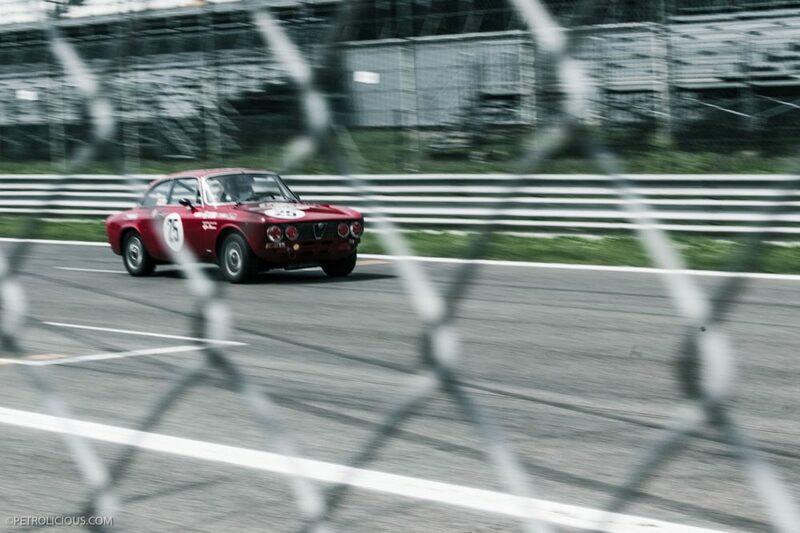 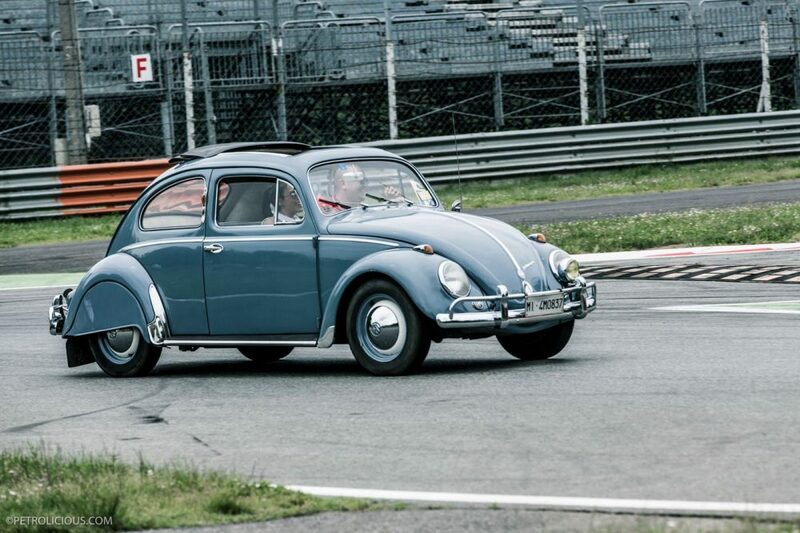 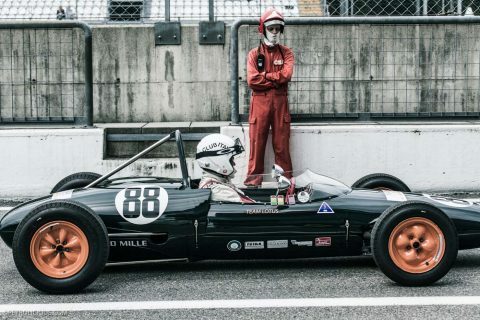 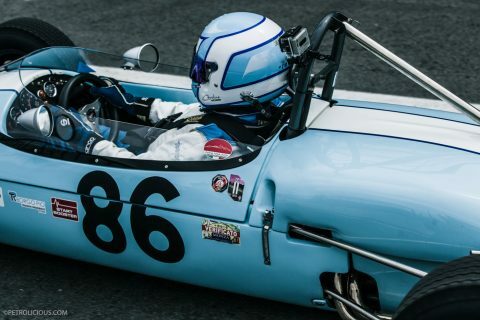 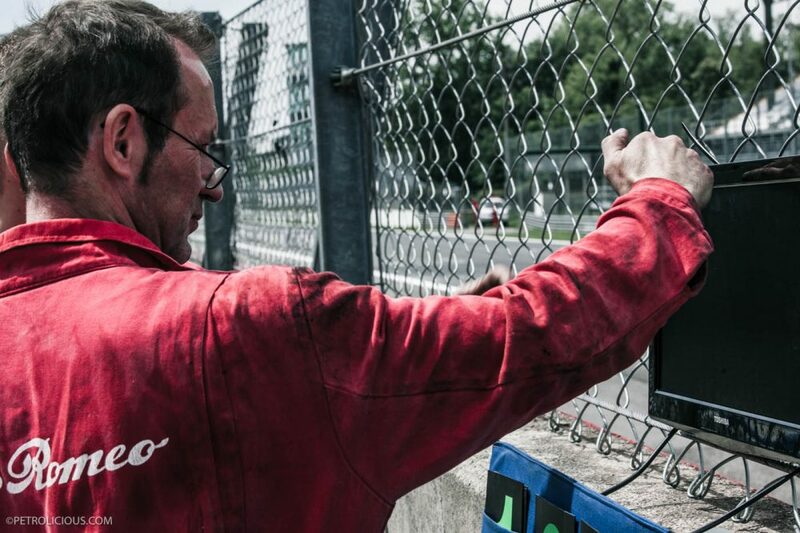 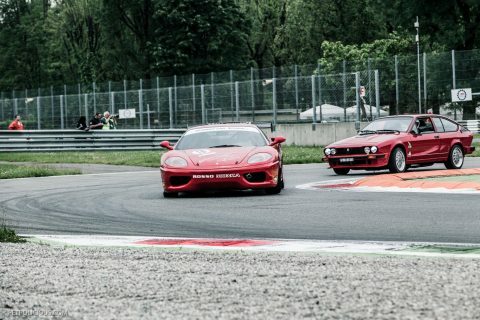 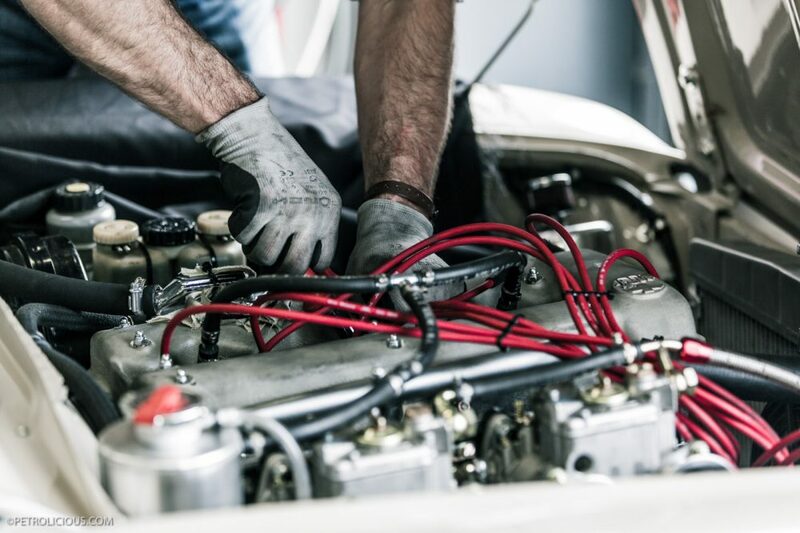 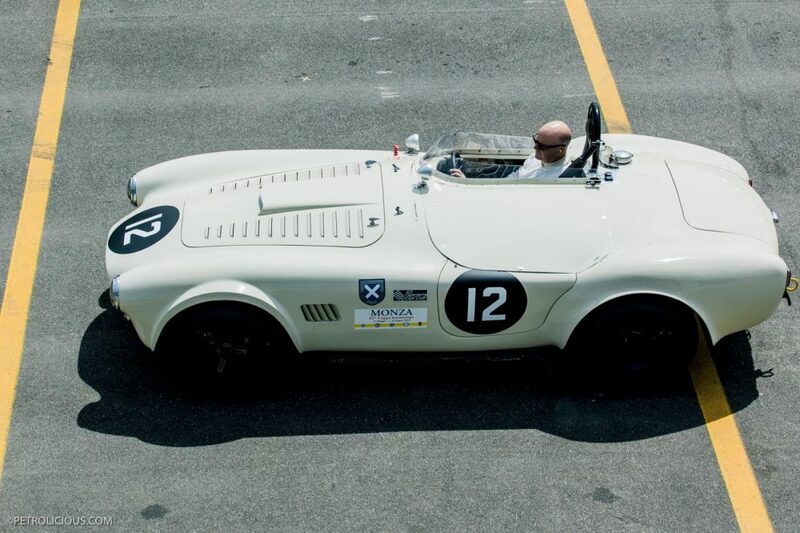 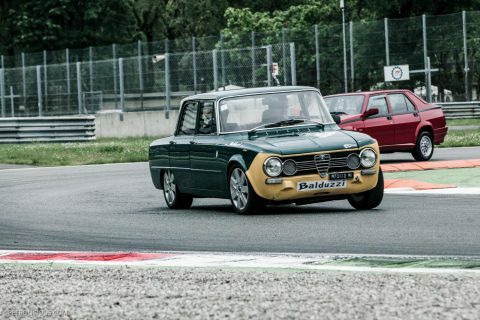 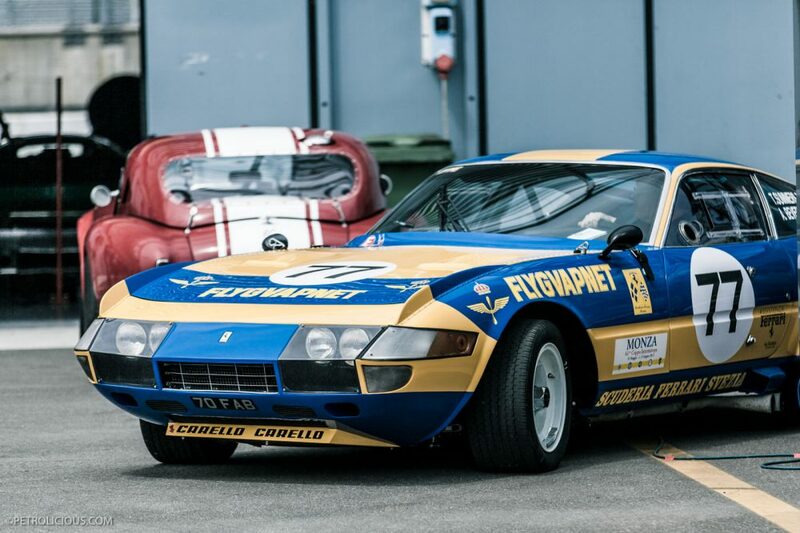 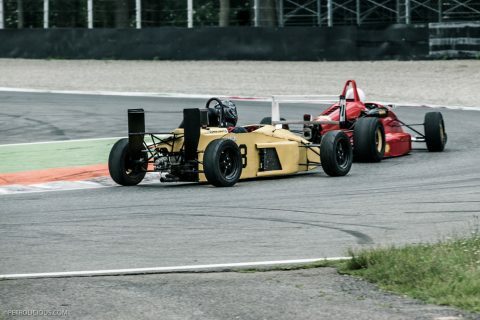 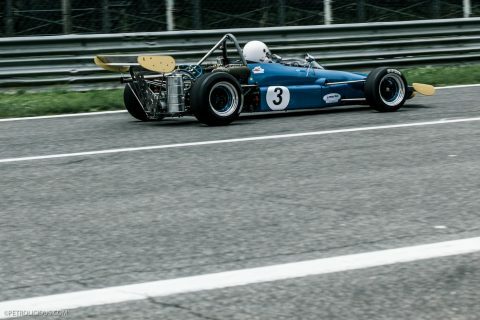 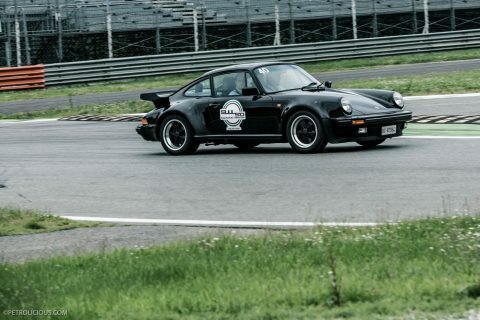 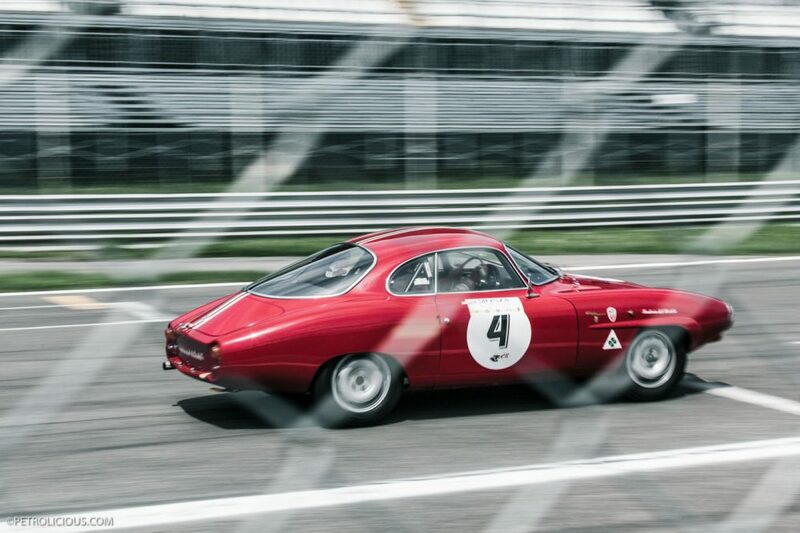 About two weeks ago, early on a Sunday morning, Josh and I headed to Monza to cover the mixed bag of vintage car events happening simultaneously at what is called the Coppa Intereuropa. 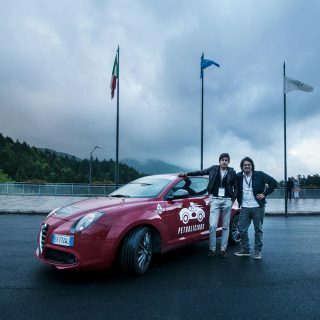 We were planning on staying for only half of the day and heading back to Milan for other appointments. 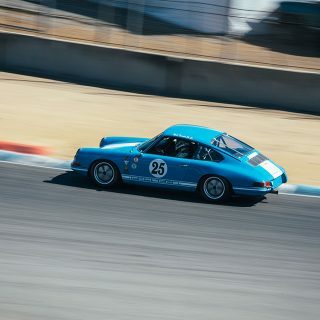 We must have been having too much fun, because before we knew it, the day was almost over, and we were still track-side shooting the races. 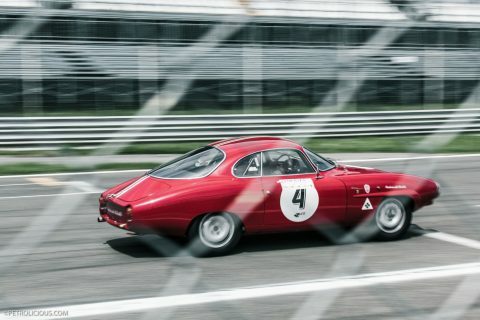 The races and gatherings at this year’s Coppa Intereuropa were varied and quite exciting, especially for Alfisti and Porschisti. Scuderia del Portello was present with a massive showing of all sorts of racing Alfa Romeos from 1963 to 1983. 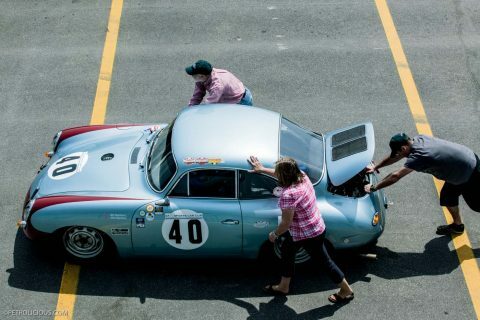 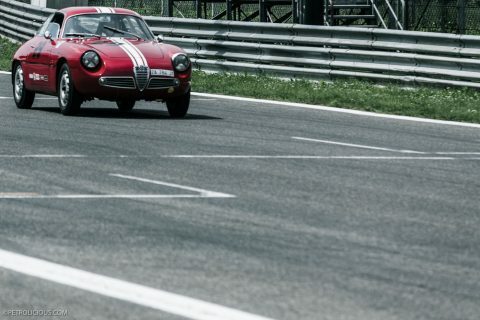 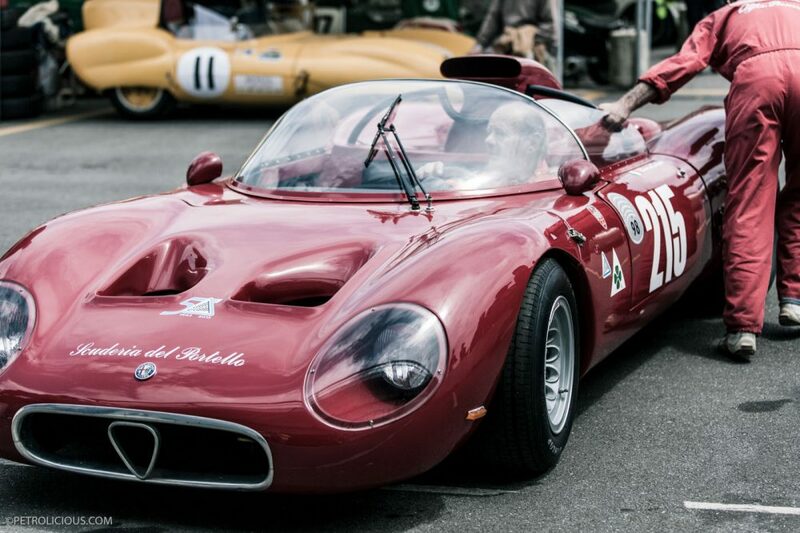 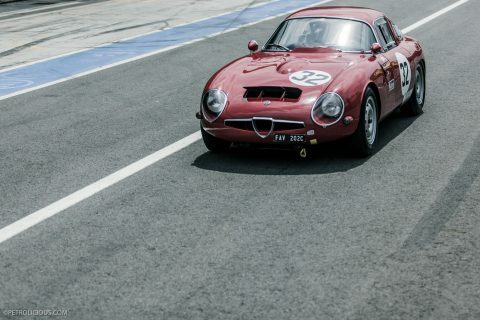 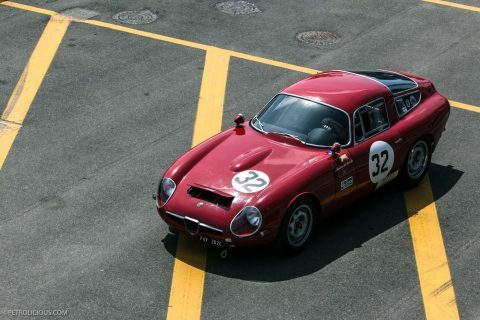 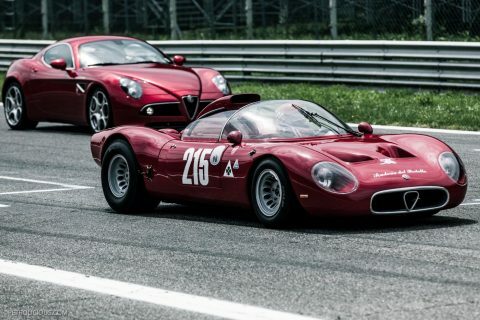 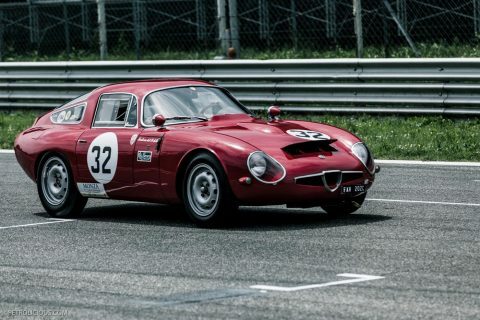 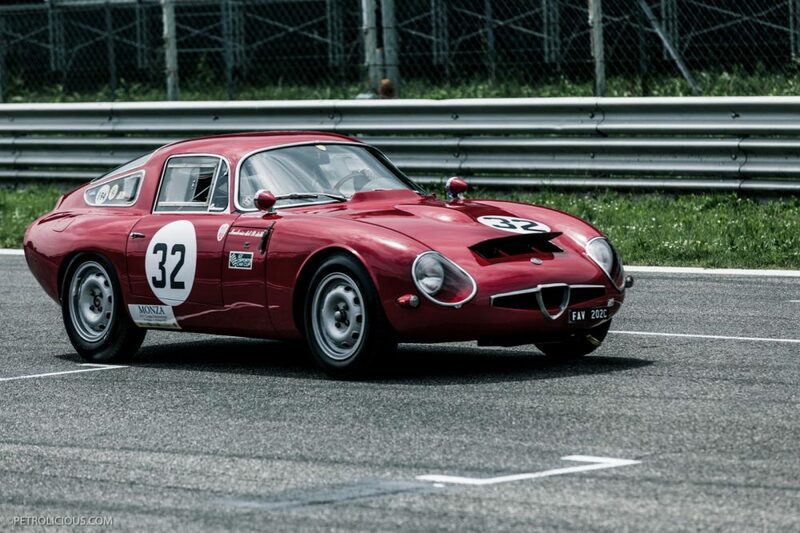 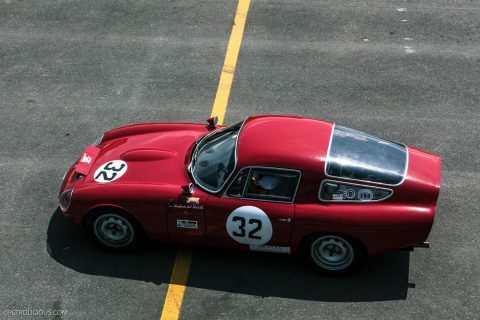 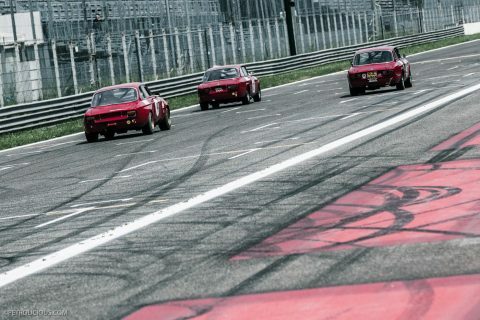 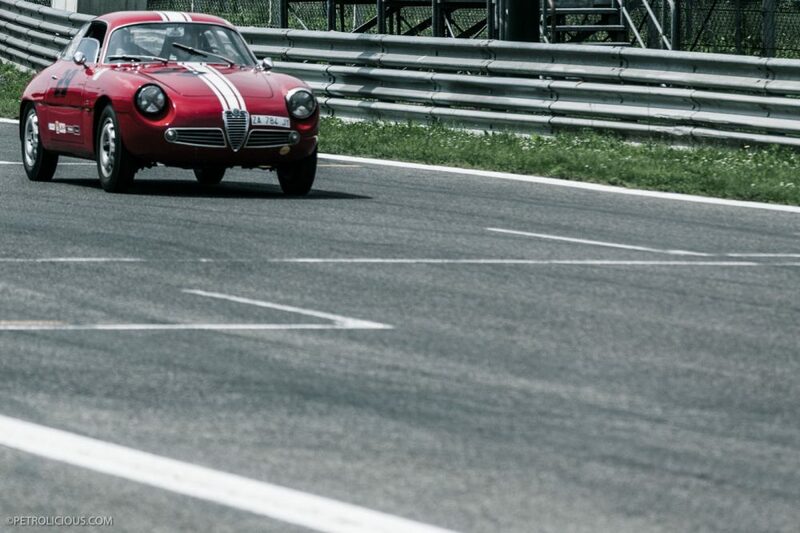 Alfa Romeo TZ’s were abundant and racing to win. 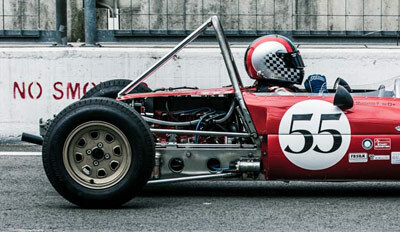 Meanwhile, Romeo Racing was celebrating Autodelta’s 50 year anniversary with their showing of Autodelta-prepared Alfa Romeos. 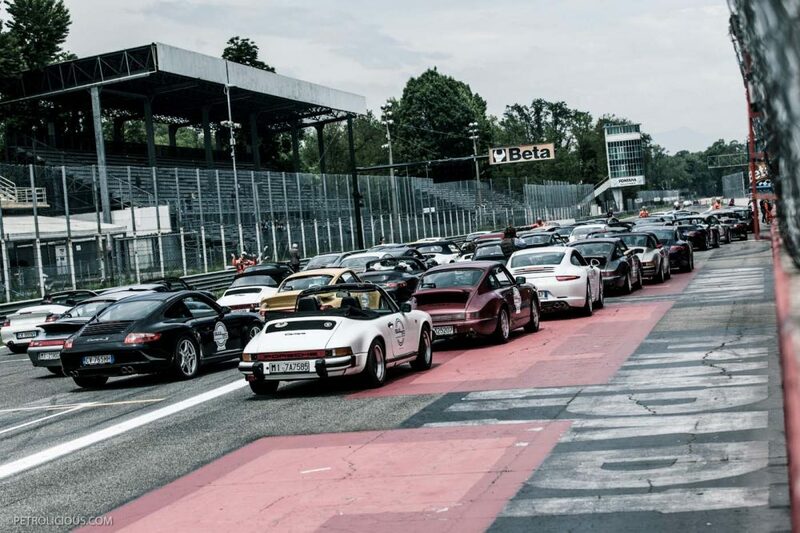 Not to be outdone, Porsche clubs from around Europe showed up in mass quantities to celebrate 50 years of the 911. 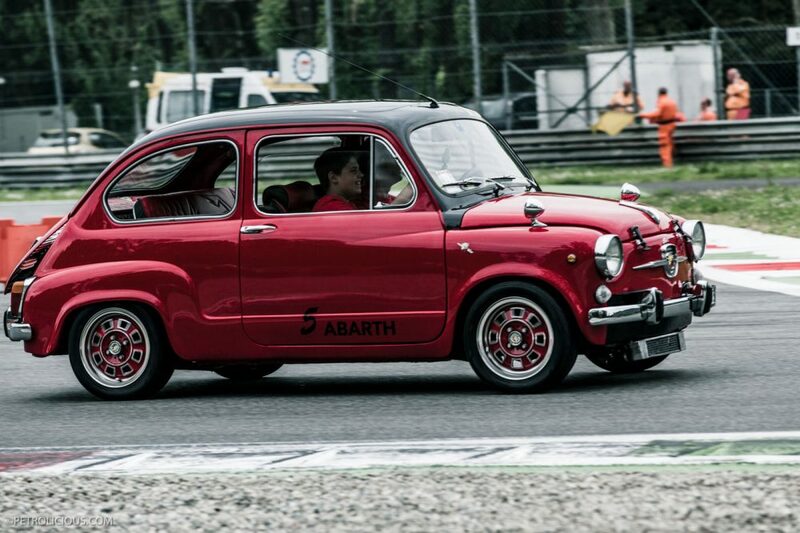 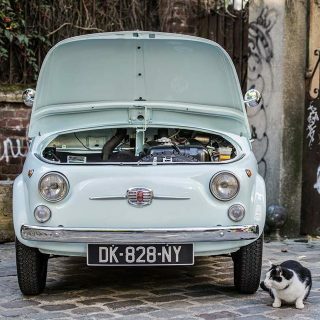 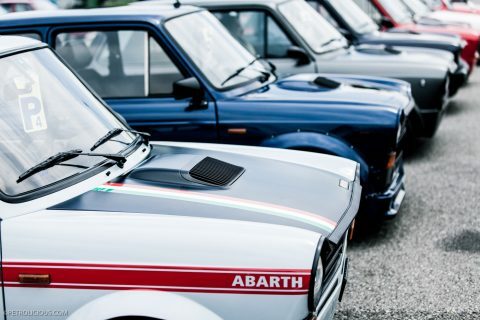 The little club that won our hearts, however, was the Autobianchi Abarth club. 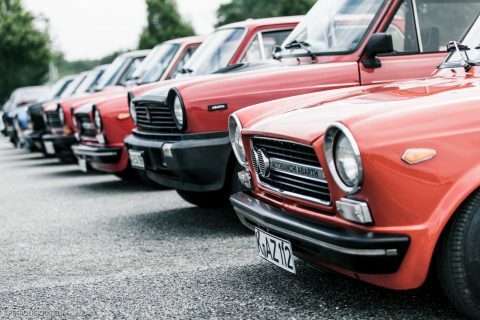 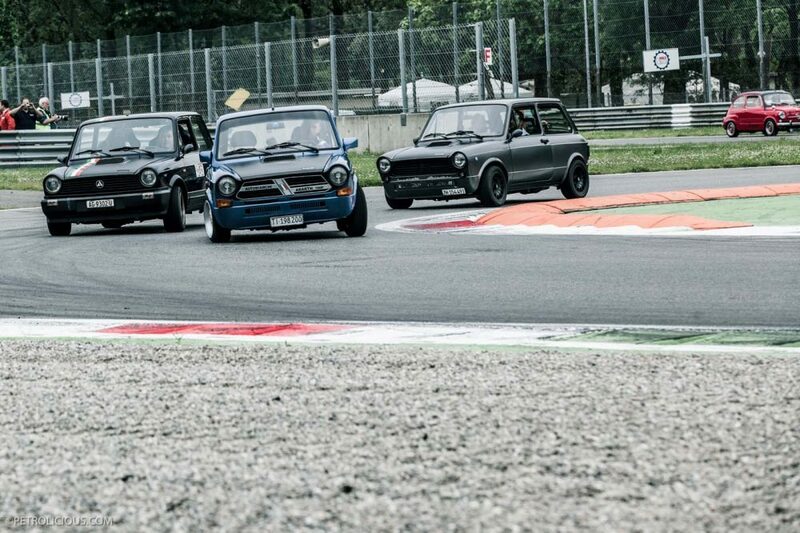 A rare object in the US, these adorable, yet mean Autobianchi A112’s all lined up in a row or packed together as they sped through a corner on the track made quite an impression on us, and we wish we could put one in our suitcase to bring back. If you find yourself in Italy next spring, do yourself a favor and make sure you attend the Coppa Intereuropa. In the meantime, check back here for Josh’s short film on the event coming soon. 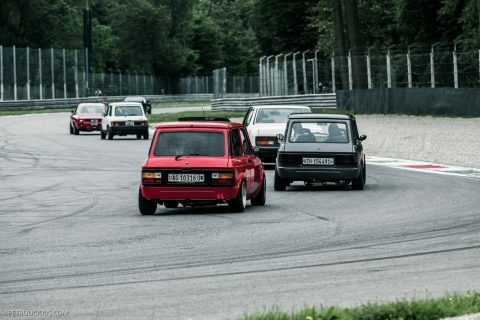 We thank Daniel Tomicic of Scuderia Zagreb for the invitation to the event. 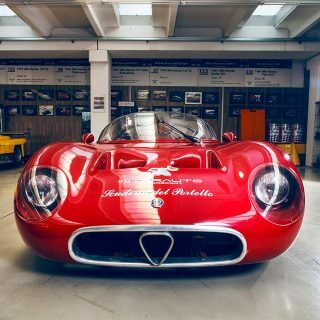 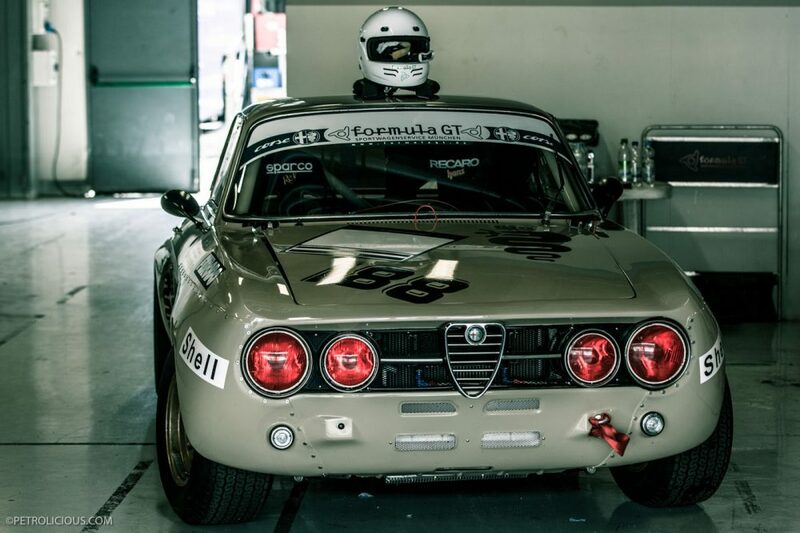 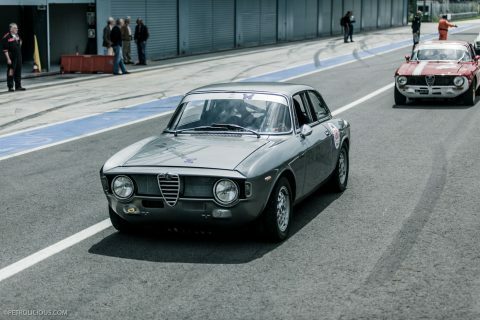 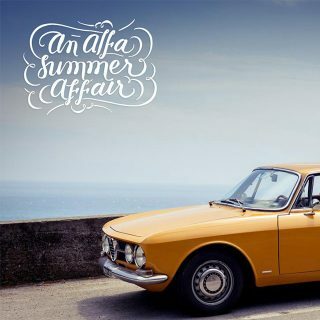 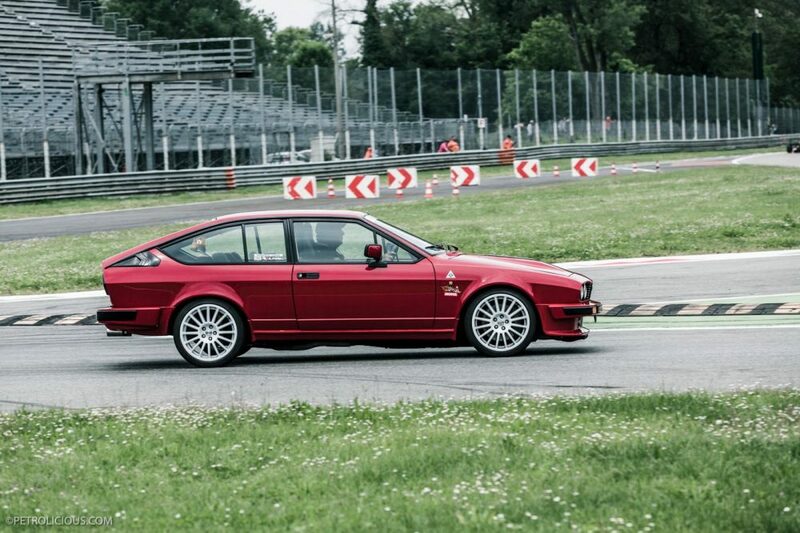 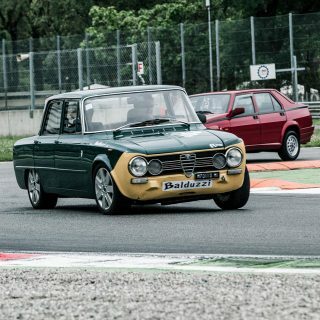 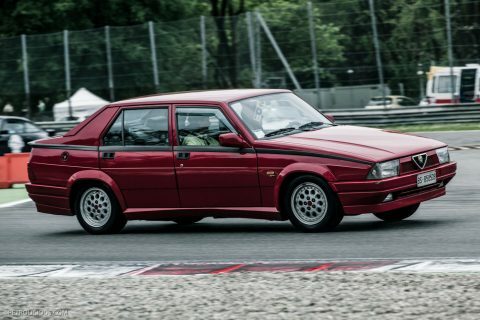 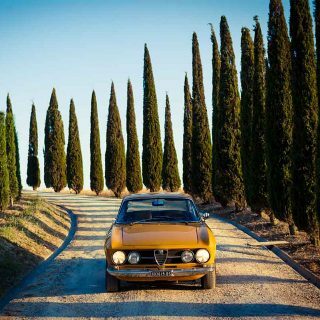 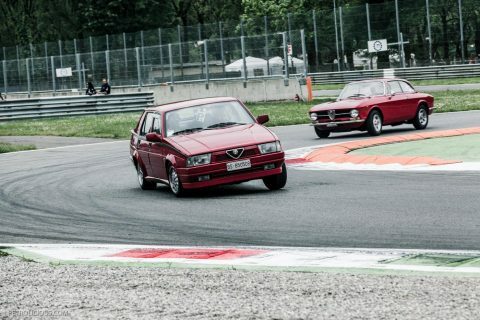 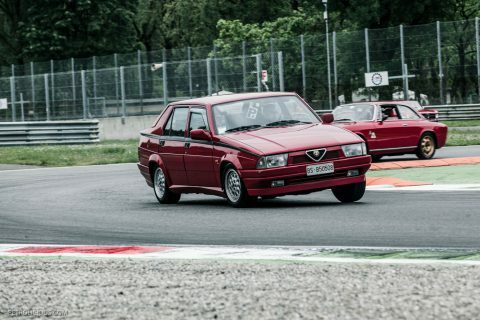 I might be in the minority but I think old Alfa’s are better looking than old Ferrari’s. You’re in good company here! 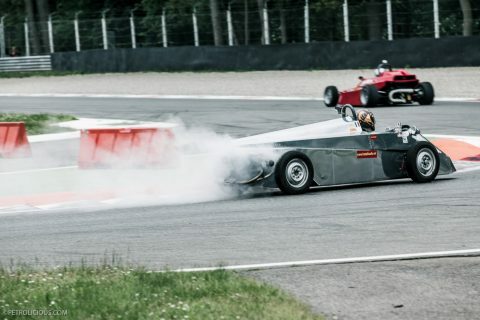 Sounds like fun. But then again, so is the Spa 6 Hours I attend every year. Always nice to see these cars being driven in anger.